We are in the middle of Fall, and Halloween is just around the corner! So I wanted to make something that would be a big hit for the Fall season. 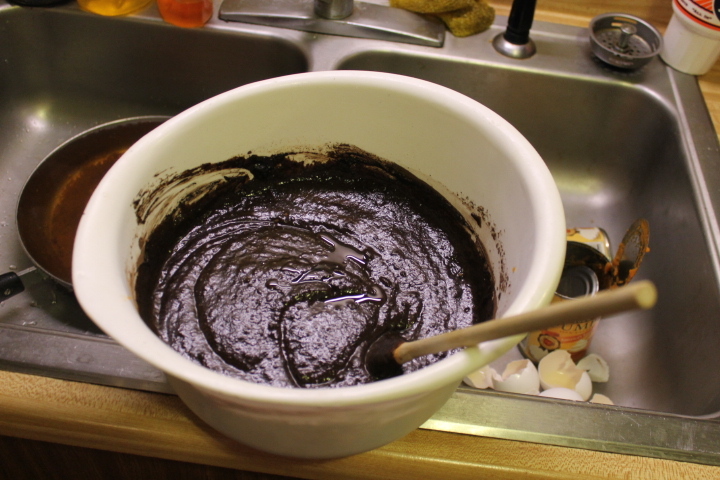 And you know what, I think I just created something that is moist and very tasty! 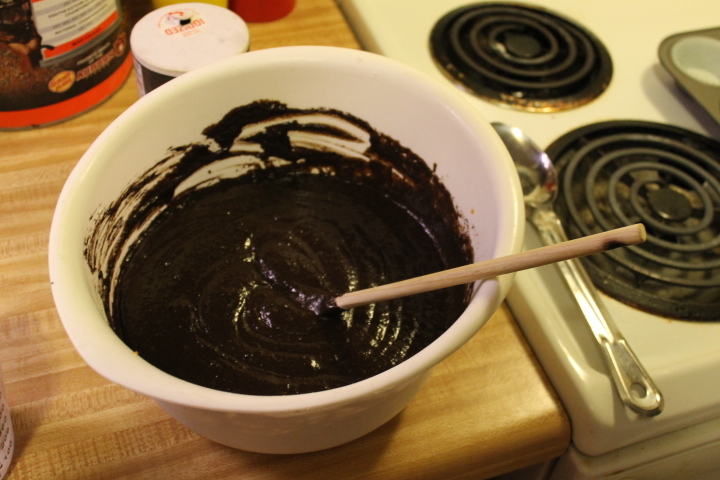 Before I document the recipe, congratulations to the Red Sox for winning the 2013 World Series! 1. Preheat oven to 350 degrees. 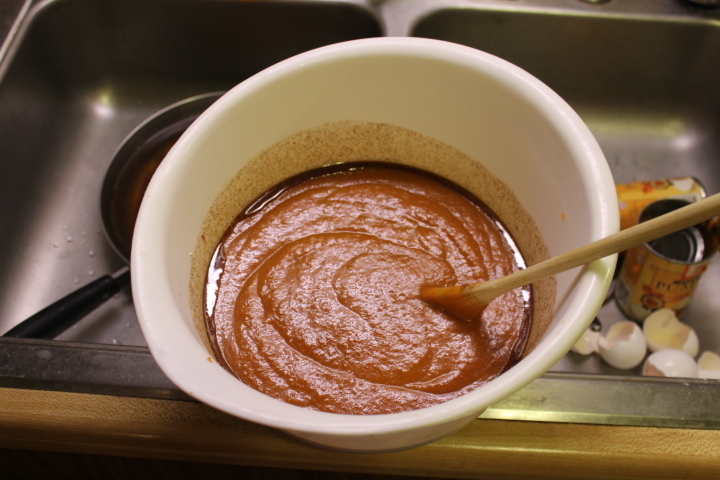 Add sugar and oil and mix together. 2. 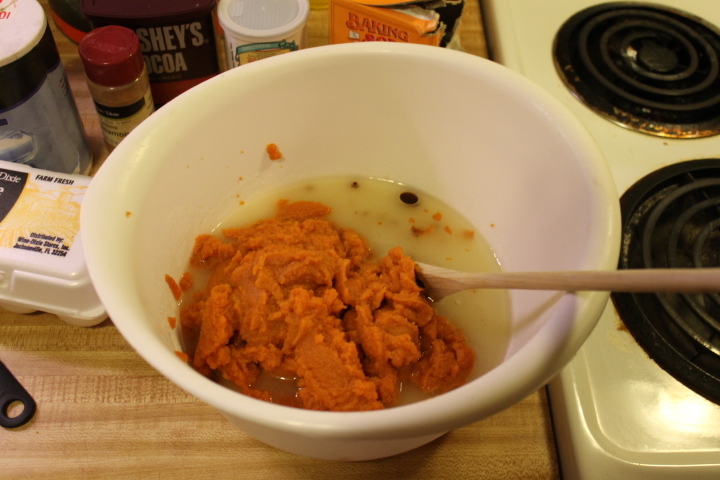 Add canned pumpkin and vanilla extract and mix together. 3. 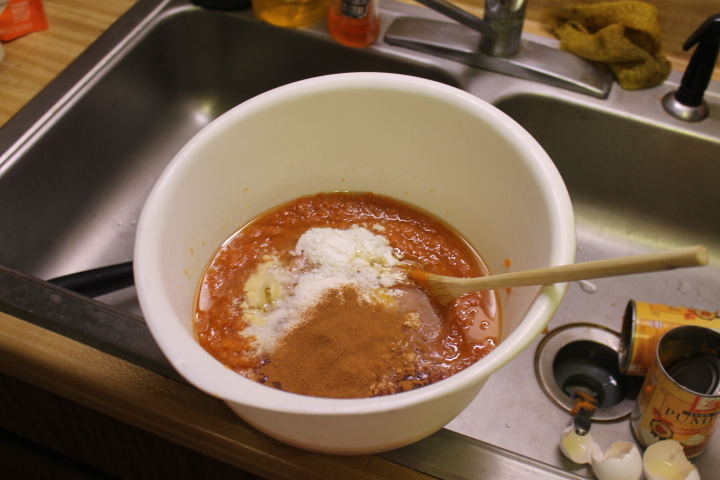 Add eggs, baking powder, baking soda, salt, and cinnamon and mix together. 4. 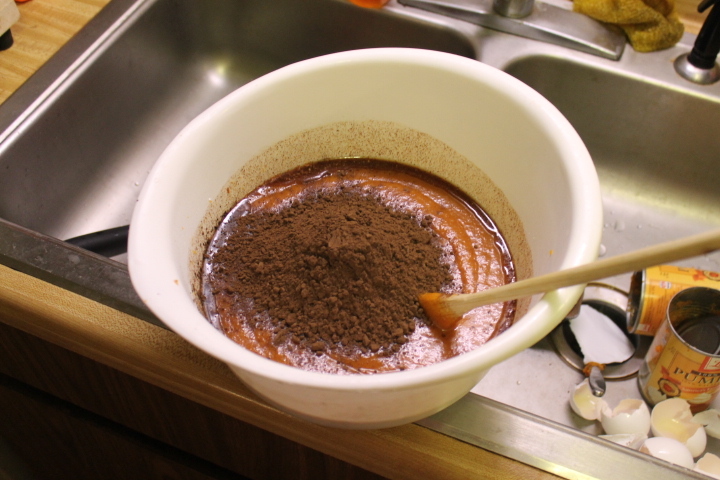 Add cocoa powder and mix together. 5. 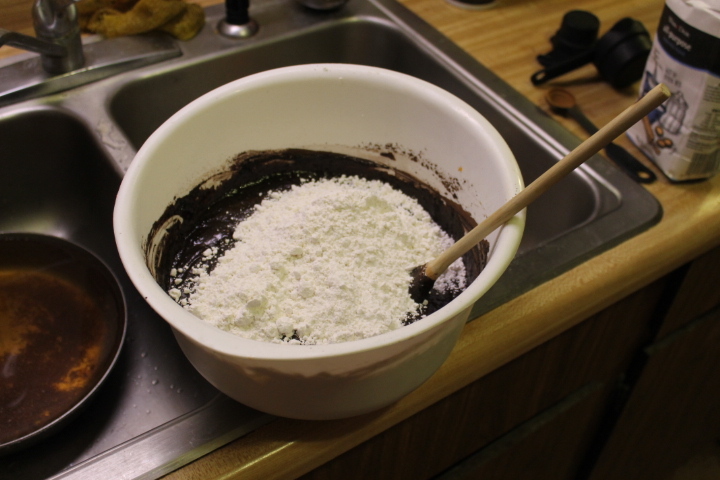 Add the flour to the mixture and mix everything together well! 6. 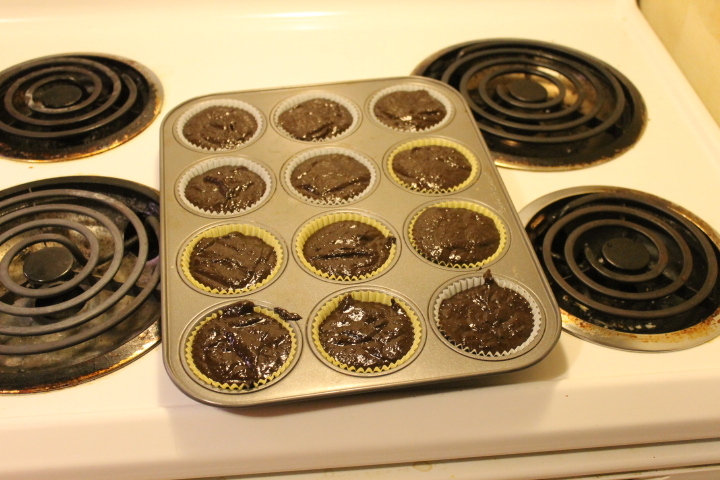 Pour mixture into muffin tins and fill all the way to the top. Bake in a 350 degree oven for 30 minutes. 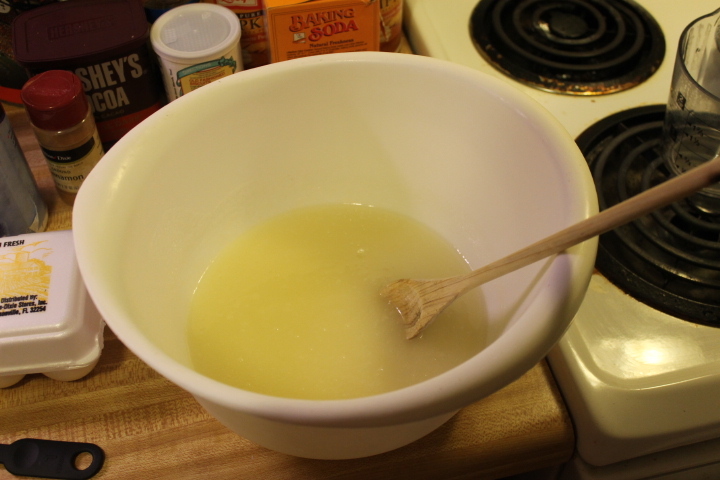 After baking, check the middle with a toothpick to make sure they are baked. Let cool completely before eating! 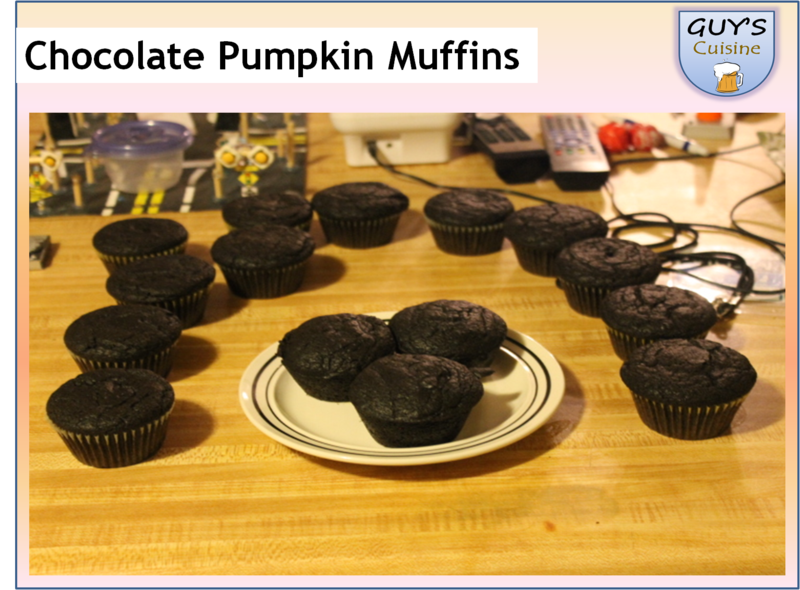 After cooling, you will enjoy these muffins! 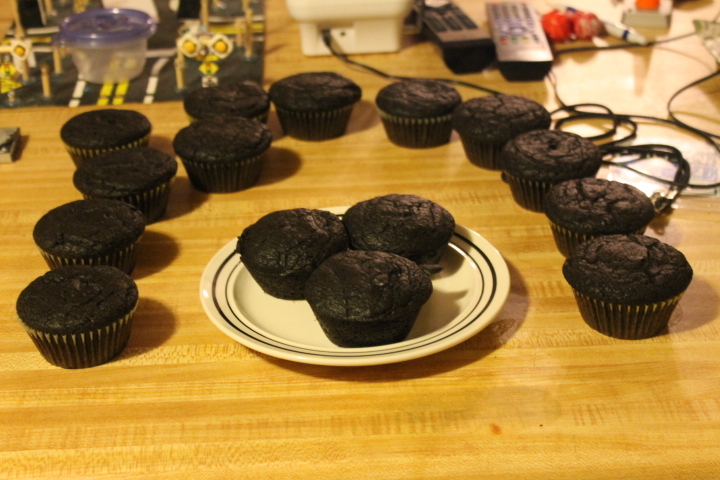 They were very moist and yummy!